We came together as MPA students in the wake of the 2016 election, inspired by the rise in activism but also frustrated by perennially low voting rates among young people. How could we ensure this energy translated into concrete civic action? We’re changing the narrative of low youth voter turnout with a novel, team-based structure. 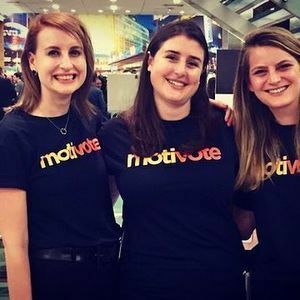 motivote is the peer-to-peer social accountability platform that uses behavioral economics to bridge the gap between intending to vote and actually doing it.